After months of speculation, leaks, rumors and even more leaks, the 4.7-inch iPhone 6 has just been announced, and below, we’ve got the official details of what you can expect from Apple’s latest and greatest smartphone. As we expected, the iPhone 6 features an all-new design, and ties itself nicely with the leaks that we’ve seen so far. From the protruding camera, to the iPad mini / iPad touch like design, it’s without a doubt the most beautiful handset we’ve seen to date from Apple. 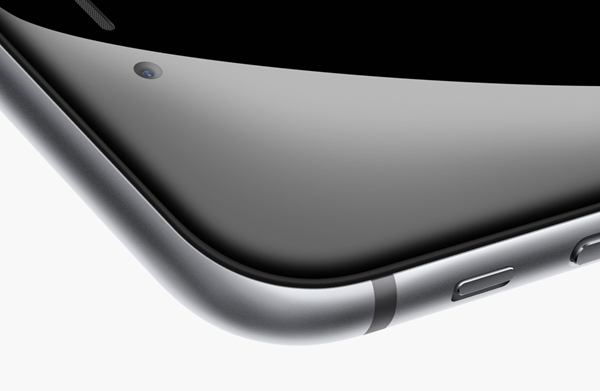 Apart from the new aesthetics, the device is just 6.9mm thick, making it the thinnest iPhone yet. And just like the iPhone 5s, the iPhone 6 also features an anodized aluminum back, and gives up the glass strips on top and bottom, opting for a full metal design on the rear. The display of the iPhone 6 features a resolution of 1134×750, making it a modest upgrade over last year’s iPhone 5s and 5c. Though there’s nothing earth shattering about this particular resolution, but we expected Apple’s 4.7-inch flagship to carry at least a full-HD 1080p display. 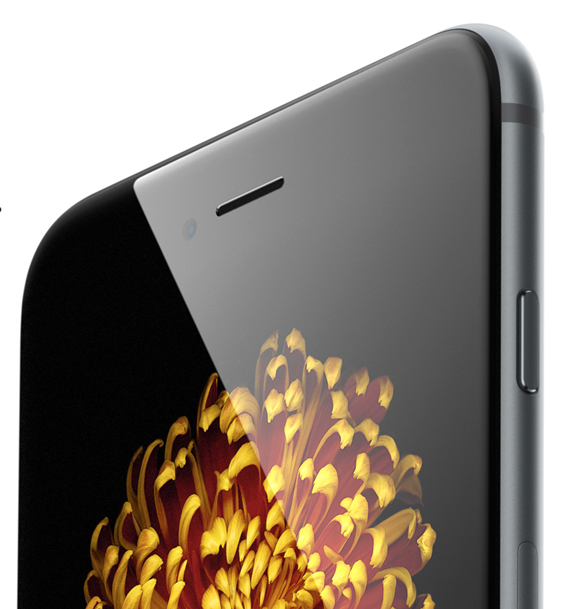 The new 4.7-inch iPhone 6 will be powered by Cupertino’s second-generation 64-bit processor, which is aptly being dubbed as the A8 by Apple. And with over 2 billion transistors, Apple has managed to make this chip 13% smaller than what is found inside the first-generation A7 chip. In terms of performance, the new A8 chip is 25% faster than the A7, and in the graphics department it sees a massive leap of over 50% in performance. Compare those numbers with the first iPhone that was released back in 2007, we’re seeing a massive leap of 84 times. Unlike previous iPhones, Apple’s new iPhone 6 features ‘sustained performance’ mode, which ensures that the device does not get hot when it’s being hammered with a ton of tasks. This new technology will be music to ears of those who love to game on their iPhones and iPads. 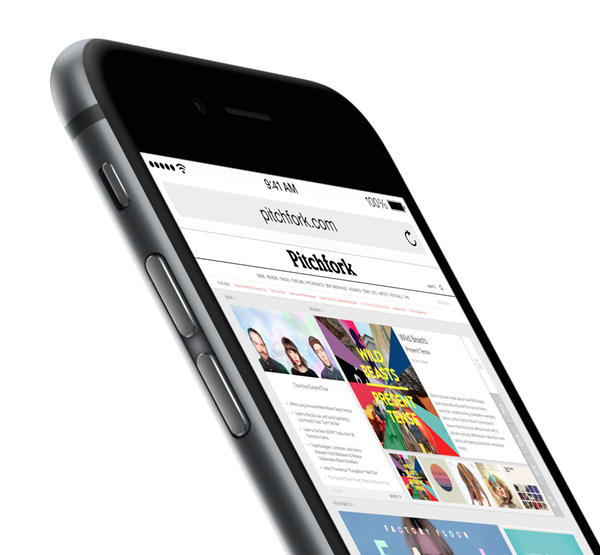 The battery life of the new iPhone 6 is good news for those who loathed the iPhone 5s and 5c. And although it’s not a huge leap, but the new battery numbers are enough to keep anyone happy. In the audio department the iPhone 6 is promising 50 hours of playback, while video will see 11 hours of playback, which is a 1 hour boost over the iPhone 5s. Users will get 11 hours of battery on Wi-Fi, 10 hours on LTE and 10 hours on 3G. 3G talktime is being touted at 14 hours, while standby time is at 10 days. The new M8 coprocessor is well and truly designed with fitness in mind, and with new sensors to boot, Apple is promising to take health monitoring to a whole new level. The M7 was a mere motion processor, on paper, but the M8 takes things up a notch with features like relative elevation, which is calculated using the built-in barometer. In short, the new M8 is going to be a treat for those who take health and fitness more seriously than anything else in their lives. The new iPhone 6 supports 20 LTE bands, which is more than any other smartphone available in the market. And apart from just throwing in better LTE support, the device now supports VoLTE (voice over LTE), ensuring that users get the best voice quality across the board. As expected, the iPhone 6 features faster Wi-Fi than before and the new 802.11ac standard is now a part of the deal. And yes, in case you’re wondering, the new iPhone 6 does indeed come with Wi-Fi calling. The camera has been given a slight refresh, though it’s still an 8-megapixel offering, but it features an all-new sensor, ensuring that every photo comes out great in any lighting condition. And apart from the new sensor, there’s the usual True Tone flash – which is round by the way – and an f/2.2 aperture lens for snapping better photos in low-light conditions. The new camera sensor on the iPhone 6 is not a joke on any level. It now features faster autofocus mode, better face detection, faster image processing, and all the camera features are topped off with ‘digital’ image stabilization. And since the iPhone 6 has a new processor under its sleeve, therefore it has learned a few tricks along the way too. In the video department for example, the iPhone 6 can record videos at either 30 or 60 frames per second, that’s a boost of 30 over the iPhone 5s! But wait, there’s more; the Slo-mo feature which we all love from the iPhone 5s looks like junk in front of the iPhone 6. Why is that you ask? Well, the iPhone 6 features Slo-mo at 240fps, yes, that’s twice as fast (or slower, depending on how you look at it) than before. The FaceTime HD camera has been given a slight bump, too, and features an all-new sensor, that has a larger f/2.2 aperture and lets in 81% more light than before. And to make the deal a lot sweeter, Apple has tossed in burst mode while taking selfies. As the rumors had suggested for a while, the new iPhone 6 does indeed come with NFC for payments, utilizing the Cupertino giant’s new ‘Apple Pay’ service, and we will talk about this in more detail in a separate post. 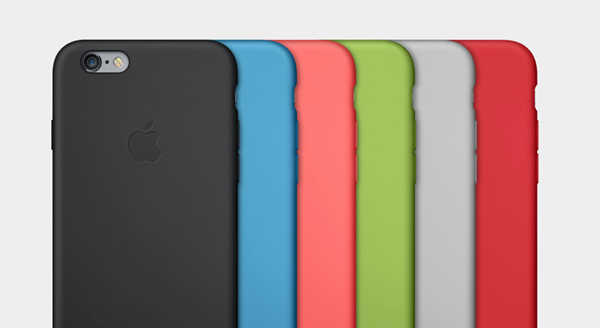 Just like how Apple announced the Leather case for the iPhone 5s last year, this year is no different, with Apple announcing official Silicone cases for the iPhone 6, which is available in a plethora of bright colors, so you can rest assured that your tastes are thoroughly covered. 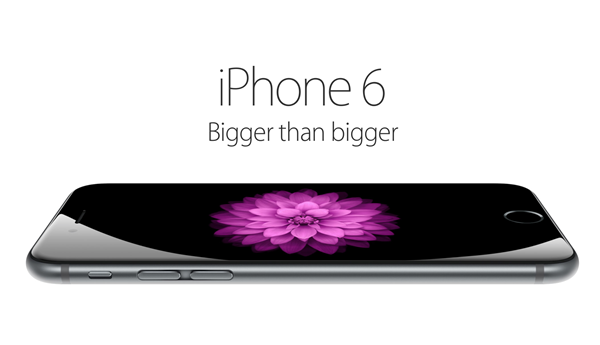 iPhone 6 pricing structure: the 16, 64 and 128GB models will retail for $199, $299, and $399 contract, respectively, in the United States, meanwhile the pricing of unlocked models hasn’t been disclosed, yet. And yes, there is no 32GB version this year, instead we get 128GB model priced at $399. The iPhone 6 will be available for pre-order on September 12th, and will hit shelves on September 19th. That’s a pathetic phone by today’s standards. Typed from my iPhone 5s. Hope it doesn’t eat up battery when searching for service. Why would it? It’s not an Android phone.